NOW Inc. has appointed Paul Coppinger, Division President, Weir Oil & Gas, to its Board of Directors, effective December 27, 2017. Coppinger is a past Chairman of PESA. Coppinger has more than 33 years of experience in the petroleum equipment and service, process equipment and flow control businesses, as well as experience in the industrial markets and manufacturing, and has held various positions of increasing responsibility, including managing domestic and international operations. He has served as Division President of Weir Oil & Gas, which is part of Weir Group PLC, a publicly traded company listed on the London Stock Exchange, since 2014. From 2012 to 2014, Coppinger served as President, Pressure Pumping, for the Weir Group, and from 2011 to 2012 as President Weir SPM. Prior to that, he was Group President of the Energy Segment of CIRCOR International, Inc. from 2001 to 2011. 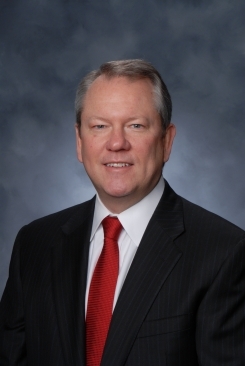 Coppinger received a Bachelor of Science in Petroleum Engineering from Texas Tech University in 1984. He has served on the board of directors of Petroleum Equipment & Services Association (PESA) since 2007. Coppinger fills a vacancy on the Board, and his term will expire at the 2020 annual meeting. NOW Inc. is one of the largest distributors to energy and industrial markets on a worldwide basis, with a legacy of more than 150 years. NOW Inc. operates primarily under the DistributionNOW and Wilson Export brands.